The DMT manual projection screens are operated using a crank or spring mechanism. FREE UK DELIVERY INCLUDED. Please note delivery to NI and outerlying UK areas may cost more. The DMT manual projection screens are operated using a crank or spring mechanism. The manual screens are ideal for applications in rooms where an electrical connection is either not possible or undesirable. 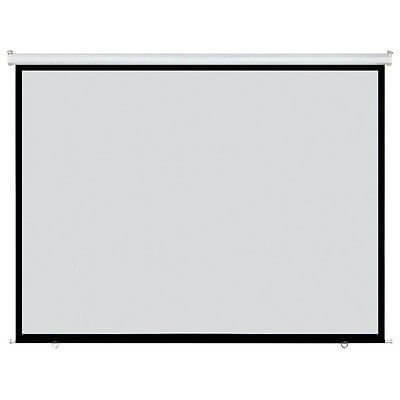 Manual screens are extremely suitable for applications in classrooms, training rooms, meeting rooms as well as at home. Please call the shop on 01379644135 for more information or to pay by card.